My first Canada Craft Club package came with a 750ml bottle of Hennepin Farmhouse Saison from Brewery Omegang. I have written about this brewery before when I featured their Belgium Pale Ale. Omegang is located in Cooperstown, NY, home of Major League Baseball's Hall of Fame. I've been there once. I didn't know it at the time but in the 1800s, the area surrounding Cooperstown was almost nothing but hop farms. 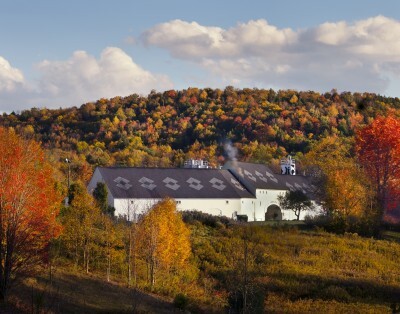 Brewery Ommegang, founded by Belgian beer importers Don Feinberg and Wendy Littlefield in 1997, sits on land that was once a hop farm. Very appropriate. The Hennepin Farmhouse Saison weighs in at 7.7%, much heavier alcohol per volume (apv) than a usual saison. Originally, Belgium farmers would brew saisons for their farmhands to quench their thirst during harvest, using saison yeast and whatever else was around to add flavour. The alcohol was kept low, from three to four and a half percent, so the help wouldn't become drunk and lazy. Even at 7.7% apv, there is no alcohol burn in this, which makes it a little dangerous as when drinking it, you don't realize how potent it is. The beer pours a light amber in colour with a white head, which stays for a long while. There is some noticeable spice in the aroma. On my first sip, the spice comes through right away, followed by a bitter citrus that goes right through to the finish. This is a very nice saison, which I would buy on tap or in the bottle to take home. I have been to Cooperstown once to see the Hall of Fame and have always wanted to go back. Now I have another reason to visit.